Pennsylvania State Police at Bethlehem say Jacob C. Hunter, 26, of Hellertown, crashed the pump truck he was operating in this cornfield in East Allen Township June 21. 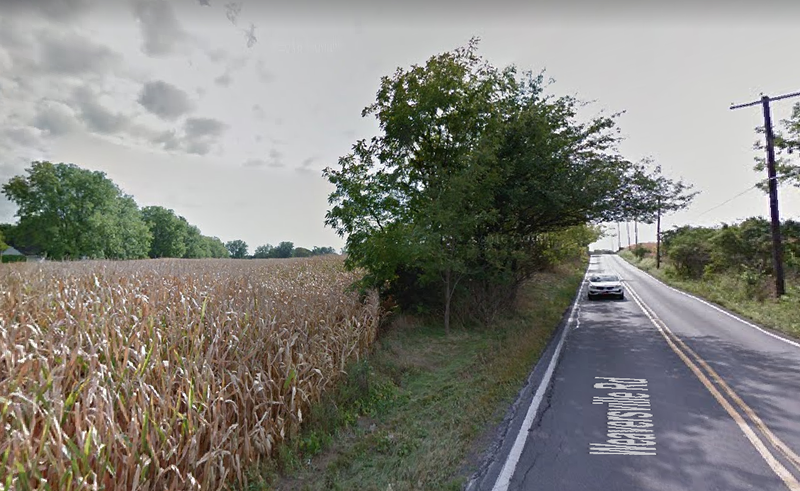 Pennsylvania State Police at Bethlehem say Jacob C. Hunter, 26, of Hellertown, crashed the pump truck he was operating in this cornfield in East Allen Township June 21 because he was allegedly driving too fast for conditions. Police say a Hellertown truck driver was cited for having an accident involving an overturned vehicle, after he allegedly crashed the pump truck he was operating on Weaversville Road in East Allen Township on the morning of June 21. According to a Pennsylvania State Police (Bethlehem) news release issued Wednesday, Jacob C. Hunter, 26, was southbound on Weaversville Road around 9:30 a.m. when he traveled off the west side of the road because he was allegedly driving too fast for conditions. Police said the truck’s tires “impacted a ditch,” which caused Hunter to lose control of the vehicle. “(Hunter) then traveled into the oncoming northbound lane (and) continued to travel into a cornfield off the east side of the roadway,” police said. The pump truck overturned in the field, coming to final rest about 100 feet from the roadway, they added. Police said Hunter was not injured. The accident occurred in a straightaway about a half mile north of Halbea Street, according to the news release and maps of the area.